PORTLAND -- At a town hall meeting Wednesday, Gov. Paul LePage said Forbes Magazine told him welfare and energy costs led to Maine's ranking as the least business-friendly state in the magazine's annual rankings. PORTLAND — At a town hall meeting Wednesday, Gov. Paul LePage said Forbes Magazine told him welfare and energy costs led to Maine’s ranking as the least business-friendly state in the magazine’s annual rankings. “Sorry Governor, but I didn’t say any of those things,” Badenhausen wrote. “Welfare? Not even a part of the rankings. 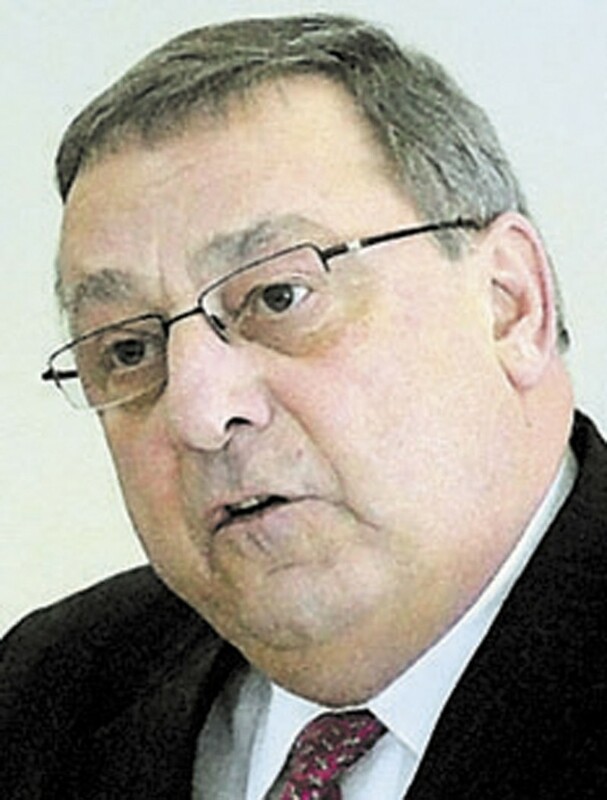 Despite Forbes’ criticisms, LePage wouldn’t back down Friday from his comments. According to LePage spokeswoman Adrienne Bennett, Forbes told LePage’s administration that Maine had “structural problems.” LePage interpreted that to mean welfare and energy costs — two of his biggest agenda items — according to Bennett. The flap between Forbes and LePage stems from the governor’s Wednesday town-hall meeting with about 100 people in Salem Township. During the event, LePage said he wanted to know why Maine did so poorly in Forbes’ rankings, “So we asked them,” LePage said, according to the Sun Journal. “We’re starting out with welfare, because we’re going broke,” LePage added. Badenhausen told the Press Herald on Friday that LePage’s quotes are inaccurate. Badenhausen, who oversees the annual rankings list, said he spoke with LePage’s senior economic policy advisor, John Butera, before the speech about the rankings. At no point in that conversation, however, did they discuss energy costs or welfare, Badenhausen said. On Thursday, LePage’s spokeswoman, Adrienne Bennett, gave several explanations to different newspapers. She told the Sun Journal the governor meant welfare in general — as in the state’s welfare or Mainers’ welfare — and not the welfare system. She told the Bangor Daily News it only appeared LePage was quoting Badenhausen, but that wasn’t LePage’s intention. “I think he started out saying, ‘They said,’ and then he kind of goes to his thoughts, then he goes back to ‘They said.’ It’s just the way he speaks. The more one-on-one time you get with him, you understand these things,” Bennett said, according to the Daily News. Forbes uses 37 metrics in six categories to compile their rankings, Badenhausen said. Those six categories are business costs, labor supply, regulatory environment, economic climate, growth prospects and quality of life. Energy costs are included as part of business costs, Badenhausen said. But he said he never told the LePage administration they needed to improve energy costs to move up in the rankings. Maine ranked 44th in business costs, 50th in growth prospects, 45th in regulatory climate and 28th in labor supply. Staff Writer Susan Cover contributed to this report.